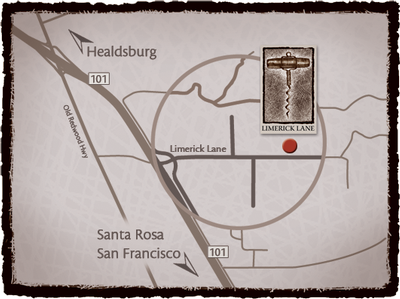 Our tasting room is located among our estate vineyards in the Northeast corner of the Russian River Valley – only three miles from downtown Healdsburg. We invite you to come visit and taste our wines among the venerable old vines that produce them. Our tasting room is open daily by appointment only.